As we see a host of new equipment and new footwear on a regular basis, we thought we would introduce something new to the blog to give you something different. Every Friday we will share a new product, equipment or kit and give a few of our thoughts on the product. First up is the NikeFootballX. Indoor Soccer is a phenom of a brand in South Africa with various places offering a range of varieties. From the concrete of streets, to the carpeted indoor centres to pop up football arenas, the variety is massive and so too should the varieties of boots available be. 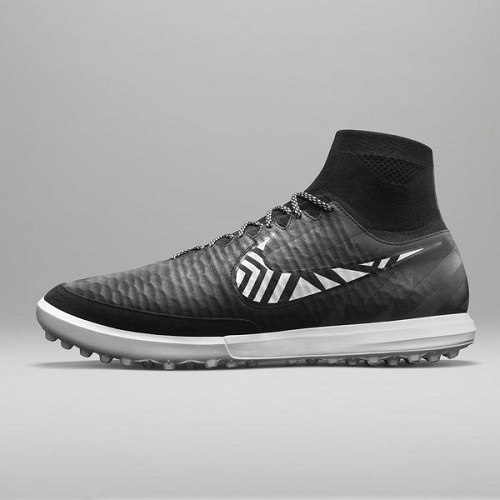 Nike have put that in mind and introduced NikeFootballX, featuring remixed MagistaX and MercurialX boots designed with small-sided style and surfaces in mind. 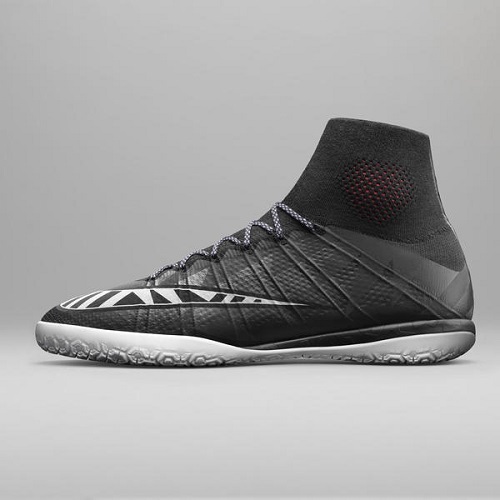 NikeFootballX boots feature recycled Nike Grind rubber on high abrasion and drag areas for enhanced durability. Cushioning against hard surfaces has also been taken into consideration. MagistaX features a responsive Lunarlon midsole while MercurialX has low-profile Phylon cushioning. Both boots will be available in indoor court (IC) and turf (TF) versions with outsoles that cater not only to the relevant surface, but the underfoot play prevalent in small-sided football. The remixed MagistaX and MercurialX carry an “X” as a nod to the combined number of players in a game of five-a-side. Both boots will debut in the “Street” colorway, inspired by the footballers Nike’s design team met with who play at night by streetlight. The boots feature a stealth black geometric graphic that is reflective under the lights. The MercurialX and the MagistaX will be available exclusively via the Nike Football App on March 30. The boots will be available on nike.com on April 1.